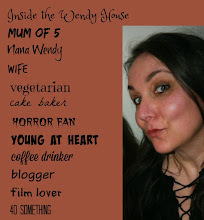 Inside the Wendy House: Why? Why? Why? Why does my mind still think I'm 18 while my body thinks I'm 50+? Why, when I brush my hair, do my brown hairs fall out while the white ones stay firmly put? Why does it take me a month to lose half a stone, but 3 days to put it back on? Why can I remember in intricate detail the script of Dirty Dancing but I can't remember where I put my car keys this morning? Why is there always a wizened lemon lurking in the back of my fridge...even if I haven't bought any for months? Why does hot chocolate not actually taste like chocolate? Why do people always think that vegetarians must miss bacon? Why does treading on a discarded piece of Lego hurt so damn much? Why, however diligent I am with my laundry, do I always end up with odd socks in the airing? Post your whys – as few or as many as you like. 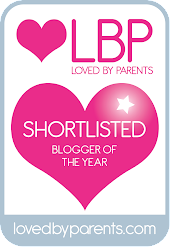 Link up your post to Mummy Central, and it would be great if you could leave a comment too. Tag 5 bloggers to keep this going. If you’re not a blogger, leave your whys as a comment below. I'd love to read them. Show your support by reading a few others and commenting on them. Cup Cake Salad - Keeping The Kids Happy!